Netflix and the moviegoing business can live in harmony, it turns out. 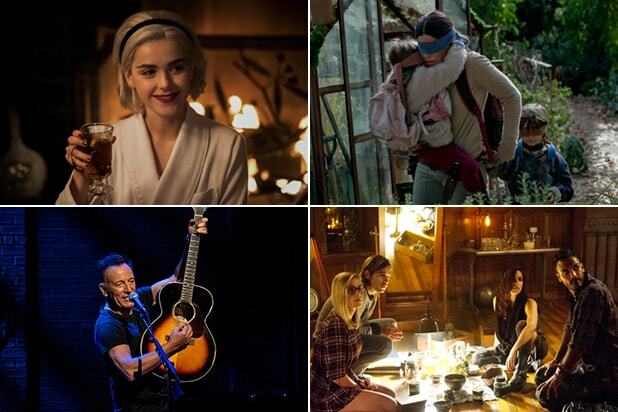 People who frequently go to the movies are also more likely to stream more content at home, according to a new study from EY’s Quantitative Economics and Statistics group, which bucks the prevailing wisdom that Netflix is slowly killing off the movie business. Instead, there’s a correlation between routine trips to the theater and heavy streaming, with 31 percent of respondents who went to the theater nine times or more in the last year spending at least 15 hours each week streaming content. On the other hand, only 15 percent of respondents who went to the theater once or twice in the last year spent at least 15 hours a week streaming. That trend was consistent as the study worked its way from people who rarely went to the movies to people who probably had a MoviePass card. For respondents who went to the theater two times or less in the last year, they spent an average of seven hours each week streaming; that jumped to eight hours of average streaming for respondents who went to the theater three to five times in the last year. For people who saw between six and eight movies this year, their streaming average increased to 10 hours per week. And for those going to the theater nine times or more, they spent an average of 11 hours a week streaming. streamed at least 10 hours of online content per week,” the study said. In short, Netflix didn’t kill the movie star — at least according to this study.